Video is excelling as a business tool. We increasingly see video used internally for messaging, training, collaboration, and externally, in sales and marketing communications. The ways in which we use video are expanding but selecting a vendor can be daunting. Back your decision with research. The Gartner Magic Quadrant is widely recognized as one of the most influential market analyses, and as a leader in the Enterprise Video Content Management report, we’re thrilled to offer you complimentary access to this research. Evaluate and compare vendors on 14 critical capabilities for enterprise video. This graphic was published by Gartner, Inc. as part of a larger research document and should be evaluated in the context of the entire document. 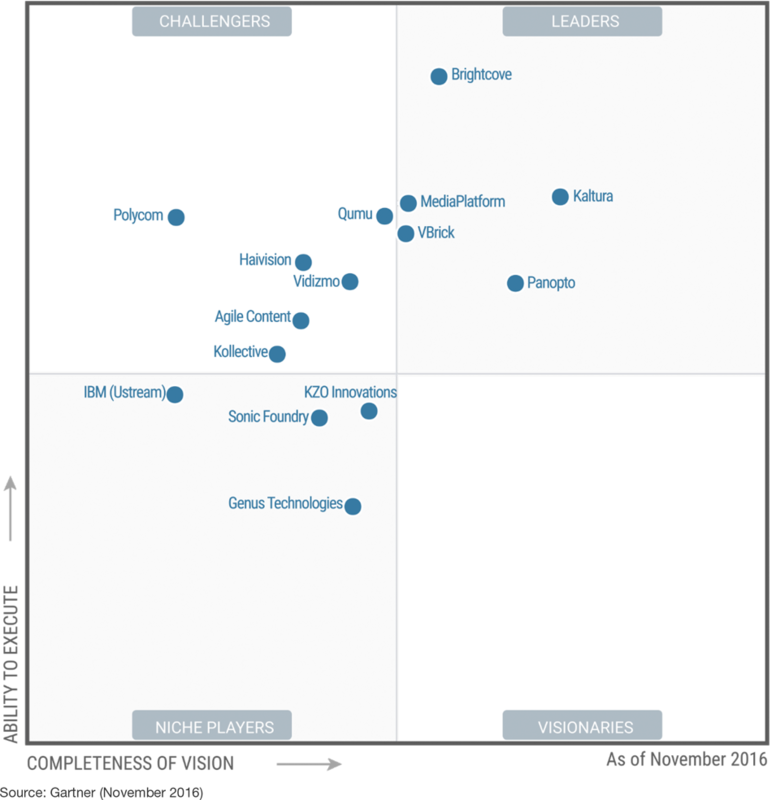 The Gartner document is available upon request from Brightcove.